Cook the orzo according to directions on package, omitting salt and any oil. Drain and rinse with cold water. Combine orzo, spinach, sun-dried tomatoes, red onion, olives, black pepper and salt. Drain artichokes, reserving marinade. 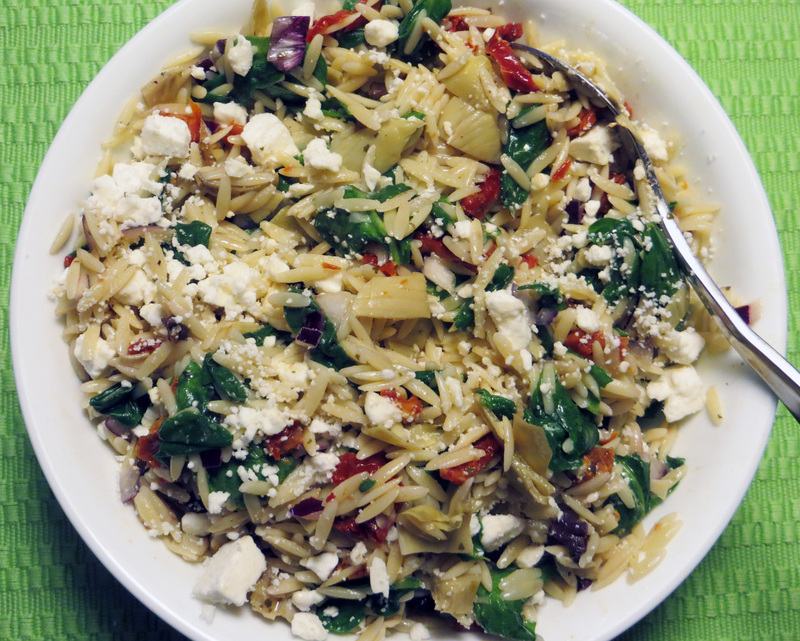 Coarsely chop the artichokes and add them, the reserved marinade and 1/2 cup feta cheese to the orzo mixture. Toss gently to coat. Sprinkle each serving with the remaining feta cheese and drizzle a little Koroneiki EVOO on top of each serving.